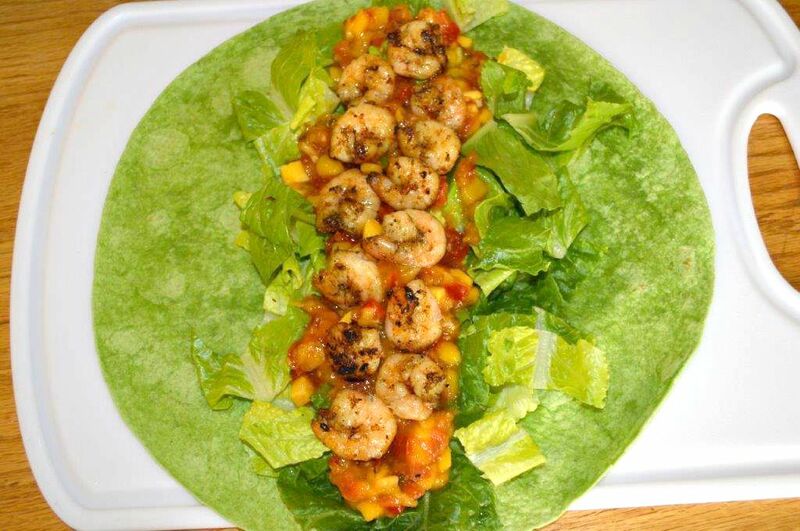 Grilled Shrimp Wrap with Mango Salsa is one of my favorite summer-time meals! 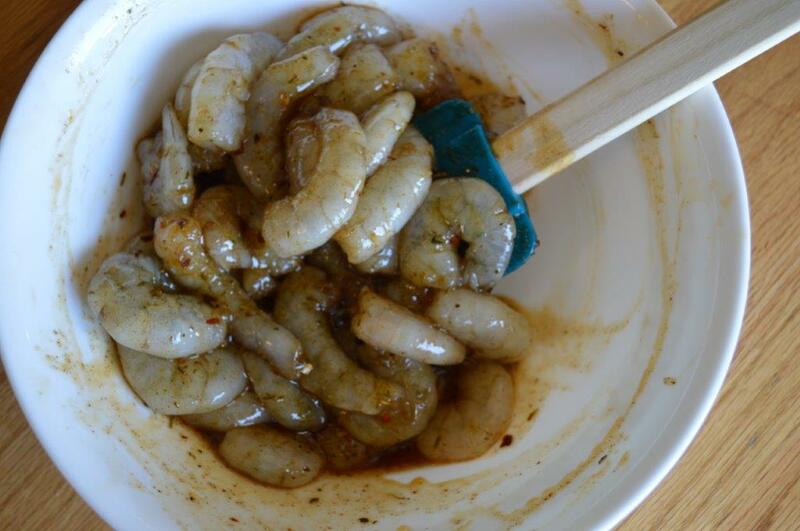 I love the Caribbean Jerk seasoning on the barbecued shrimp; what flavor. 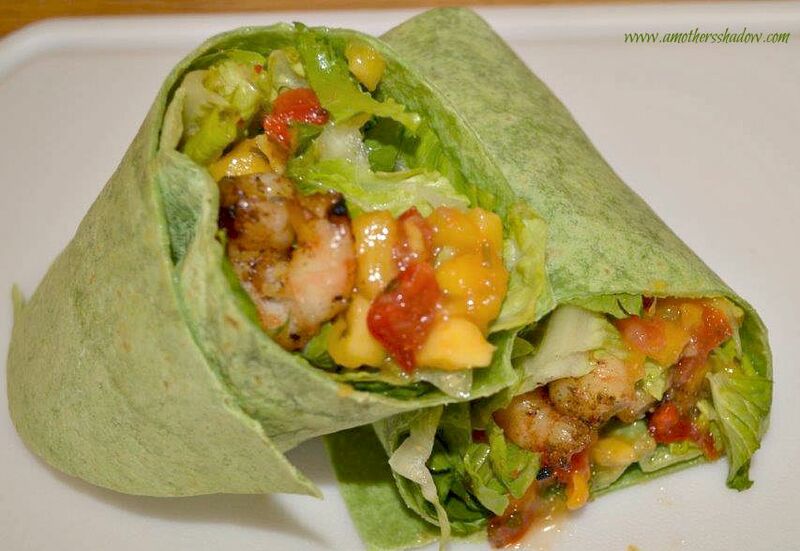 Wrap it up in a tortilla with crunchy romaine lettuce, some really good brand sweet and savory mango salsa and it takes this to gourmet 5-Star level. You’d never guess it’s a healthy dish because it tastes that good. 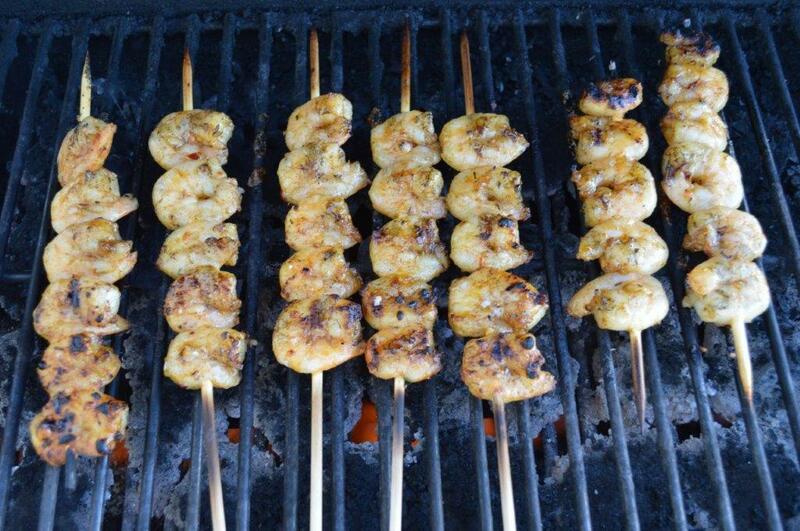 If you want to try another shrimp recipe, another favorite is this Sassy Orange Grilled Shrimp. If using wood skewers, place them in a baking dish full of water to soak for 30 -60 minutes, to help prevent them burning while grilling. 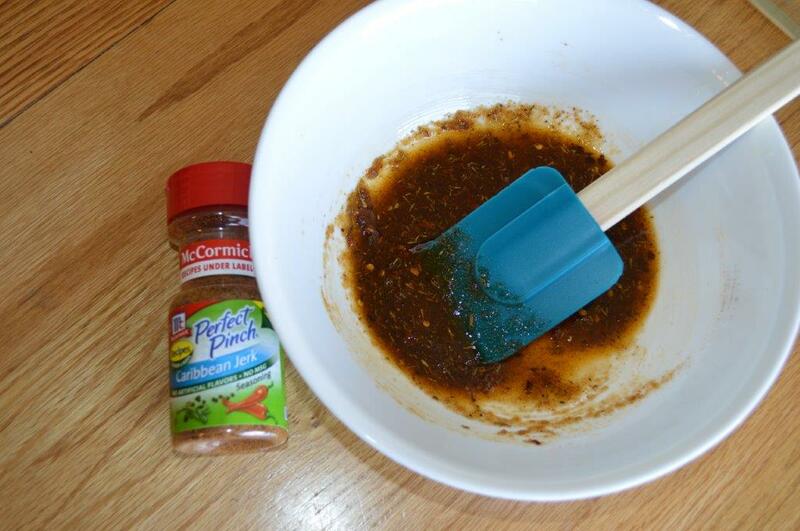 Combine the oil, brown sugar and McCormick Caribbean Jerk Seasoning in a bowl and stir well. Add in the shrimp and gently fold in until completely covered. 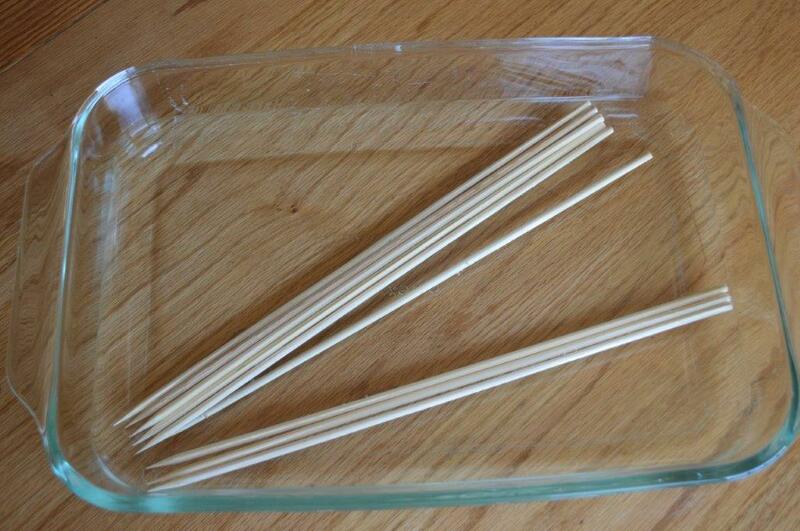 Cover with plastic wrap or a lid if the bowl has one. Place in the refrigerator for 30 minutes to marinate. 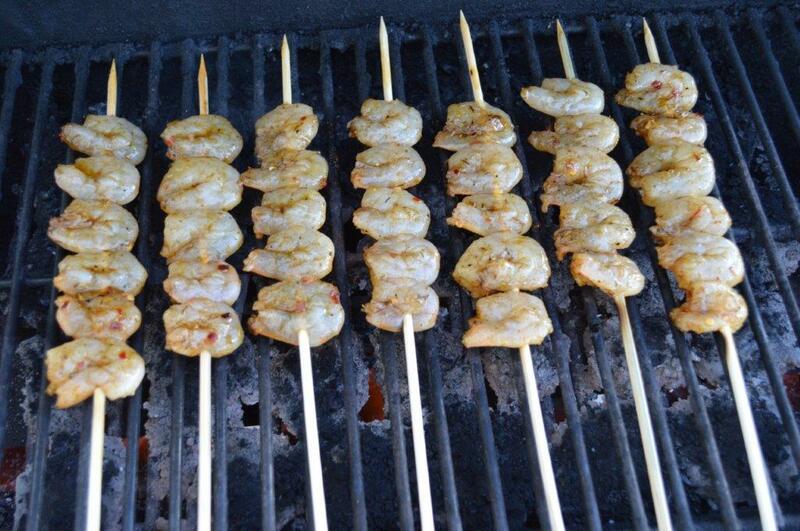 When the shrimp is ready, thread onto the skewers. 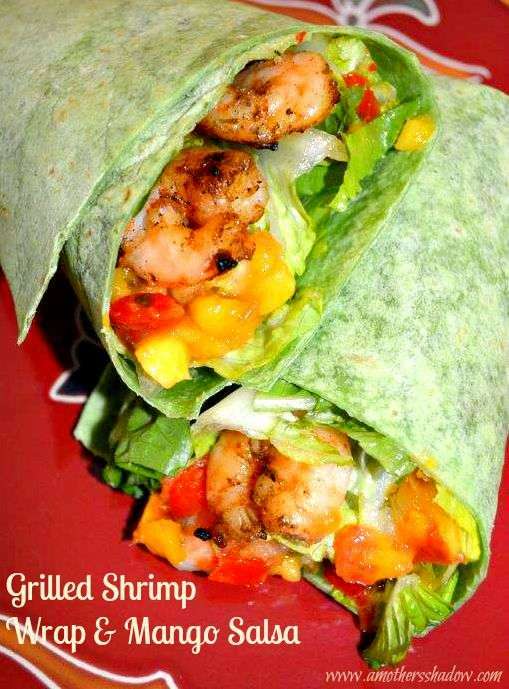 Place onto a prepared medium-hot grill. Cook on one side for 3-5 minutes; or until pink. Turn and cook until cooked through and pink. Allow to cool slightly and push off skewer; you are now ready for recipe below. Place a large tortilla down on a plate or cutting board. 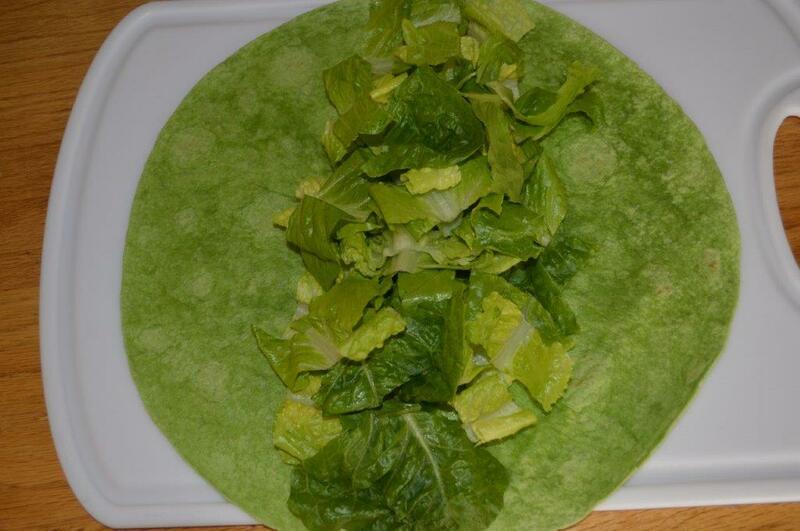 Lay a good amount of lettuce down off the center slightly. Spoon desired amount of pre-made Mango Salsa on top of the lettuce. 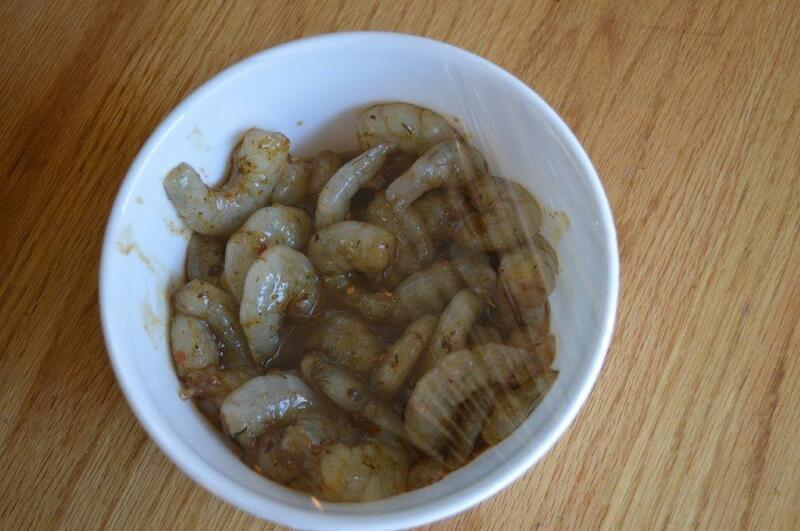 Lay grilled Shrimp on top of the salsa. 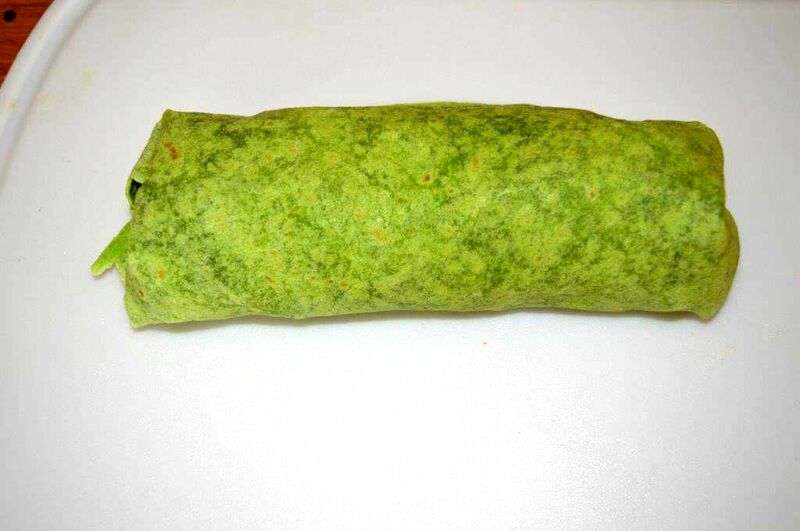 Wrap up and tuck like a burrito. Cut and serve. 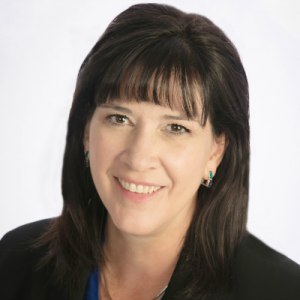 Carrie’s original recipe.